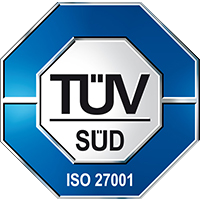 Chennai, May 21, 2014: DataTracks, a global leader in regulatory compliance solutions, has been recertified for ISO 27001:2005 for information security practices, by TUV of Germany. ISO 27001:2005 is a globally recognized standard for information security management system. 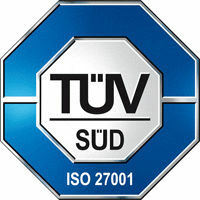 The objective of ISO 27001:2005 standard is to establish, implement, maintain, review and constantly improve on the information security management systems. The standard's scope includes overarching security practices in managing the premises, engaging and managing people, installing and managing IT infrastructure and software system, and classifying, coding and securing client data. The standard envisages a formal Information Security Management System, made up of policies and processes, to be in place to ensure compliance with the standard and a continuing self-audit to ensure compliance. It works on the Deming principle of 'Plan-Do-Check-Act' to structure the processes. DataTracks certification covers all of its business in disclosure management solutions and publishing services domains. Since DataTracks processes confidential data, stringent security practices are required to be in place to ensure that the information is secure. This recertification provides an assurance to its clients that their data is secure. Continuous improvement practices are put in place to make sure that the information security practices continue to be in compliance with certification standards. The process of recertification involves the management to constantly examine the information security risks, threats, vulnerabilities and their impact. Suresh Illath,Head of Service Delivery for DataTracks said,"We are committed to pursue and implement fit for purpose business controls to ensure the safety and uninterrupted availability of information that belong to the organization or our clients. Information security practices are continuously improved and implemented to make sure that we are in compliance with global standards. The recertification would reassure our customers and prospects our commitment towards Information Security". 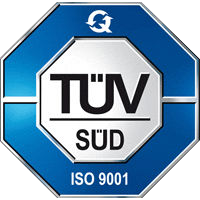 DataTracks is also accredited with ISO 9001:2008 certification for its quality management system. DataTracks provides world-class services with its team of certified accountants experienced in US GAAP, UK GAAP, India GAAP and IFRS. The XBRL professionals of DataTracks have the expertise in working with various regulatory environments (SEC in USA, HMRC in UK, Revenue in Ireland & MCA in India) and have deep knowledge of various accounting taxonomies and different commercially available XBRL applications. About DataTracks : DataTracks Services Limited (www.datatracksglobal.com) is a global leader in the preparation of financial statements in XBRL and iXBRL formats for filing with regulators. DataTracks prepares more than 12,000 XBRL statements annually for filing with regulators such as SEC in the United States, HMRC in the United Kingdom, Revenue in Ireland and MCA in India.